It is official--the elder son of Mukesh and Nita Ambani will be tying the knot later this year. The Ambanis had earlier denied the rumours of the impending celebrations, but the past weekend saw Akash Ambani proposing marriage to Shloka Mehta in Goa in the presence of their families. Here is all you need to know about Shloka Mehta who will be tying the knot with Akash Ambani! Shloka Mehta is the youngest of the three daughters of the one of the biggest diamantaires in India, Russell Mehta and wife Mona Mehta. Russell Mehta’s company Rosy Blue Diamonds is into manufacturing of polished diamonds and finished jewellery and has stores in countries like India, USA, UAE, China, etc. After completing her schooling from Dhirubhai International School, Shloka Mehta had joined the Princeton University to study Anthropology. Post that, she did a Masters in Law at The London School of Economics and Political Science. After completing her education, Shloka joined the Rosy Blue Foundation as a director. She also co-founded a unique platform ‘ConnectFor’ that helps the various NGOs to connect with the people who want to volunteer for them. 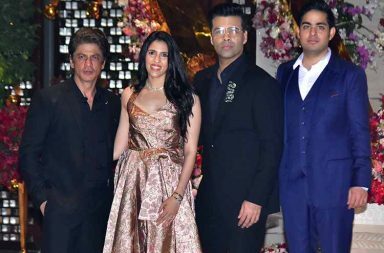 The wedding was finalised for Akash Ambani and Shloka Mehta on March 24 in Goa where both the families had got together for a pre-engagement ceremony. 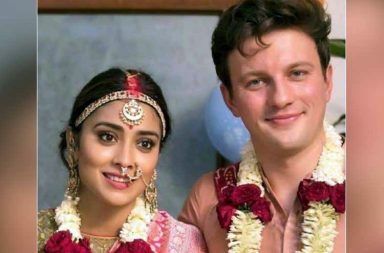 The official engagement will reportedly happen in June and wedding in the second week of December in Mumbai.